1000’s of onions and leeks and shallots! It’s Springtime around here! 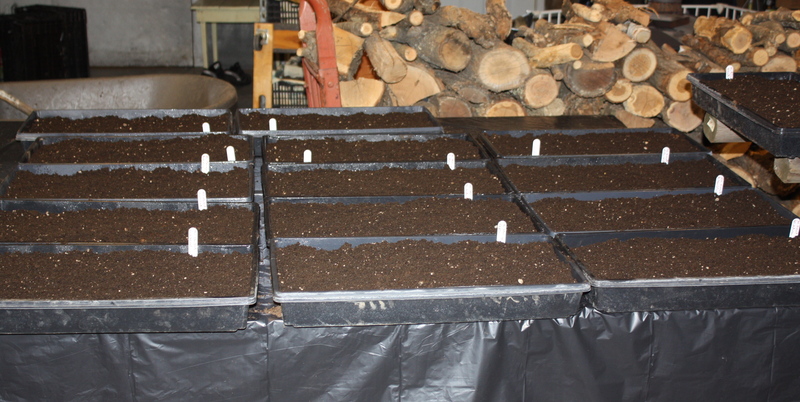 All the onions, leeks and shallots have been seeded in over the weekend. 1000’s of these tasty gems to look forward to this summer. Scott is out in the garden now cleaning things up in the snow! He cut down 2 trees to increase our sunlight in the garden, and the hoophouse is slowly coming back to life. On sunny days we can be in there comfortably wearing tee shirts! Crazy but it really feels like Springtime has arrived. 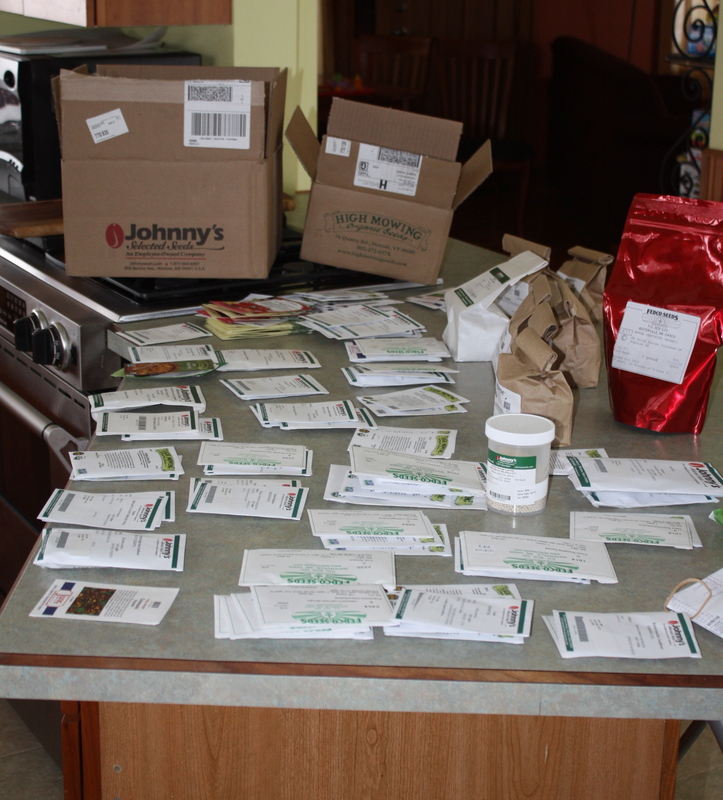 The last of our seed orders came in the mail and we are organizing the planting schedule for the hoophouse. Only about 9 weeks and the Spring Share begins…..
Maeve took this picture of our seed delivery last week.